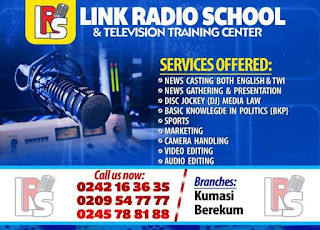 A member of Concerned Teachers Trainees Association" of the Berekum College of Education Mr Eric Owusu has described the Government's decision to line up teachers to write "Teachers Licence" EXAMS as unfortunate. It reaction to this development, Mr Eric Owusu said, they ( the Teachers group) are not against this policy but they are not ready to participate the exercise but told his worries. "The Anomalous nature of the Ghana's internet will hinder the process as the registration is going to be done online and it will negatively affect those in the remote areas which is another element to deny their rights"
Mr Owusu Eric also described the exercise as untimely because it will delay the posting of the new teacher trainees which is another factor that needs attention. On the part of NTC, no enough education has been given out which can prepare them for the exams so the education arteries must rethink about their decision. He concluded with suggestions that, Its a new policy to be implemented and therefore, it should start with the new academic year. He said the trainees should be made aware that before a teacher will be posted, he/she will write a licence exams but none of the above was appropriately addressed so the Government must have a second Look.